Construction started in June 1970, during Portuguese rule. With a length of 2,569.8 m a width of 9.2 m, it was open to traffic in October 1974. The middle of the bridge is raised, in the shape of a triangular arc, to allow vessels to pass through. The highest point of the bridge is 35 metres above sea level. 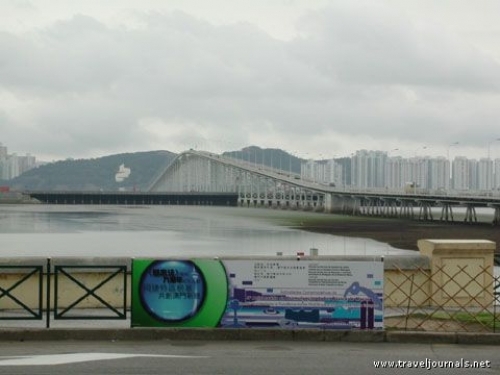 Once the longest continuous bridge on earth, it is named after José Manuel de Sousa e Faria Nobre de Carvalho, the Governor of Macau from November 25, 1966 to November 19, 1974. The bridge is meant to take the shape of a dragon, with Casino Lisboa representing the dragon’s head, and Taipa Monument on Taipa Pequena the dragon’s tail. 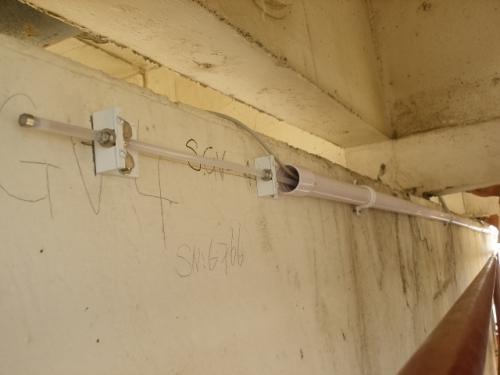 Bending and deflection monitoring over the central bridge span. 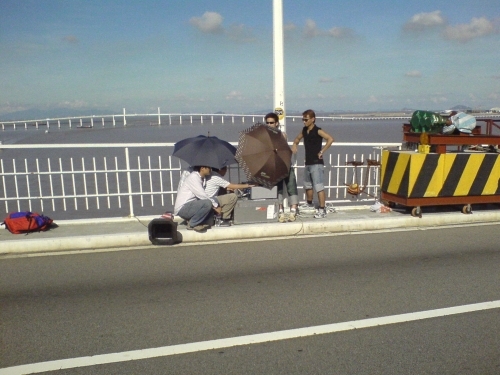 Long term structural integrity monitoring, dynamic responses under heavy traffic and strong wind, dynamic load test.